Clarence saw the importance of someone coming alongside when he needed to make difficult but wise decisions. That's why Gary and Clarence are teaming up to give this gift to other young men. In Choose Greatness, they look at 11 important choices every young man faces, and talk through how he can choose wisely and thereby choose greatness. Full of rich wisdom, down-to-earth writing, and compassionate insight, this book is perfect for a teen to read on their own or (even better) with a mentoring adult. 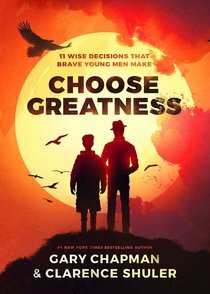 About "Choose Greatness: 11 Wise Decisions That Brave Young Men Make"